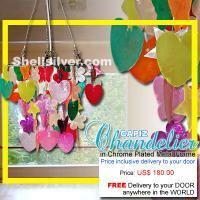 2 layers Capiz chips natural white, green, pink, red, orange and violet mixed design, 20 strand, 68 pcs. 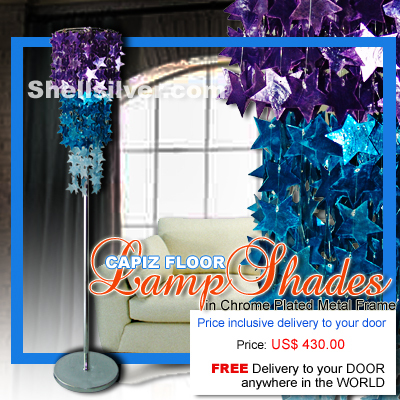 50mm capiz mixed chips, 8.5 inches base to bottom, head frame 8.5 inches diameter. 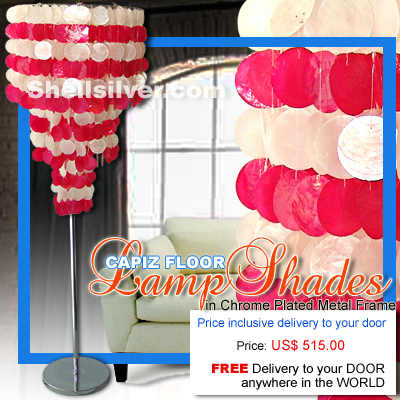 3 layers Capiz chips natural white and red in round shape, 90 strand, 734 pcs. 50mm capiz chips with more..